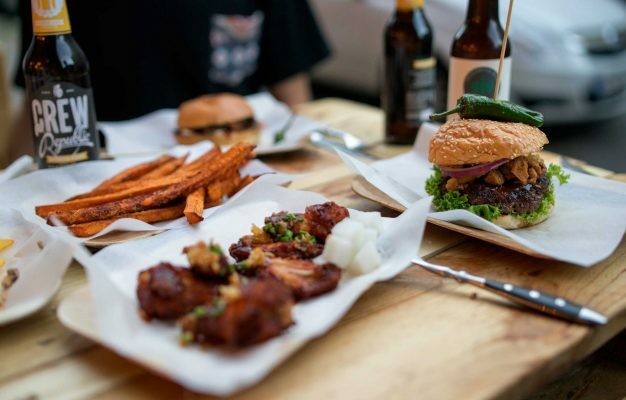 Pacifico is the newest member of the illustrious club of Asian burger joints in Berlin and the place to go if you are into fusion and crossover Asian fast food. 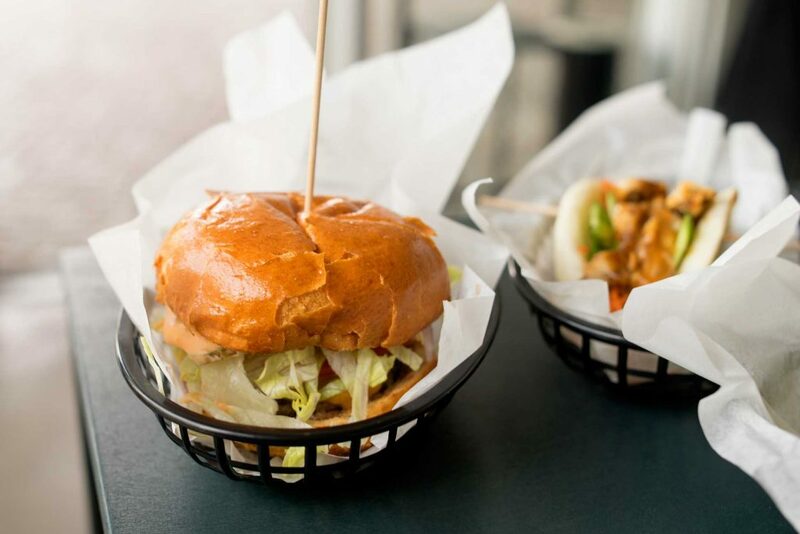 Swing by any time and go wild on their wide variety of burgers, rice bowls and bao tacos. Pacifico is the brainchild of Quirin Schwanck, Oliver Roth and Bruno Bruni. Quirin is one of the brains behind the club Prince Charles and connected restaurant Parker Bowls. and therefore also one of the hosts of the famous event series Burgers & Hip Hop at Prince Charles and I can very much see that if you have all of Berlin’s burger restaurants pass through your club to flip patties on a monthly basis, you might just get that itch to open up your own burger eatery. For Pacifico he teamed up with his already business partner Oliver (Parker Bowles) and the actor Bruno (actor) on the grand mission to bring a quality fast food burger to Kreuzberg. The culinary concept of Pacifico is essentially the result of the combined backgrounds of the founders, mixing Oliver’s Korean heritage with the experiences Quirin and Bruno made durign their time in California and Mexico. The whole project is heavily influenced by West Coast fusion fast food a la Roy Choi and the name Pacifico symbolizes the connection between the Asian and American continents as well as the laid back attitude of the Mexican beer with the same name. While restaurants like Shiso Burger and Chilees do great and interesting interpretations of the Asian fusion concept, Pacifico takes it a couple of notches further with its wide offering. The food at Pacifico is proper California style, the Korean fusion thing is a big thing on the U.S. West Coast and Pacifico brings a piece of modern American food culture to Berlin. While restaurants like Shiso Burger and Chilees do great and interesting interpretations of the Asian fusion concept, Pacifico takes it a couple of notches further with its wide offering. You’ll find Pacifico in the Aufbauhaus, right next to the main entrance, on the side facing Oranienstraße. Enter to watch the Korean-German chef crew whip out food to the hungry diners at an impressive pace. 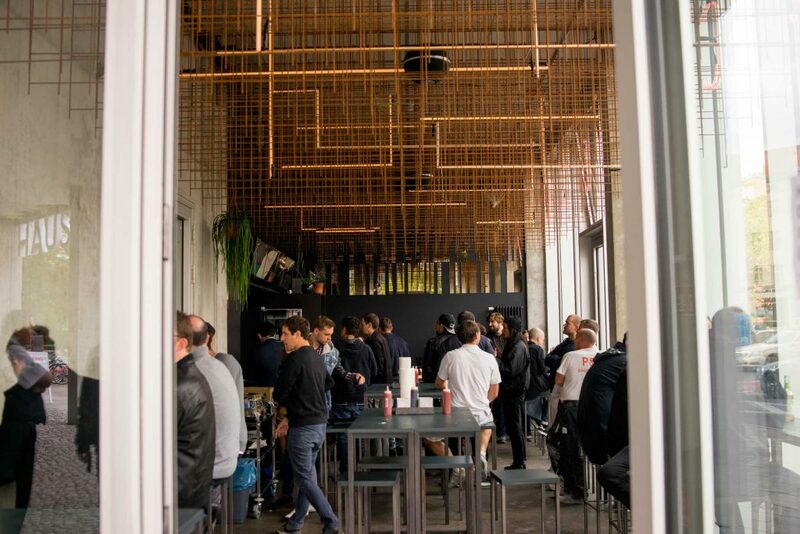 The venue is simple and functional, apart form the funky ceiling decoration, with small tables and bar stools that tell the tale of a fast food eatery aka eat-your-burger-and-be-on-your-way. The menu is structured into three parts: Burgers, rice bowls and bao tacos. The burgers are heavily inspired by the modern U.S. burger with their soft and fluffy brioche buns (guaranteed sesame seed free! very important remark by the founders) and funky mix of sauces and toppings. The meat patty is thin and pretty tasty, in terms of sheer meat quality nothing special but what the this kind of patty does is to emphasize this burger’s ambition not to compete in the gourmet category, but to truly fight for the top spot in the fast food category. And it works, this burger is extremely “eatable” and I really appreciate that, I can get properly annoyed by burgers at The Bird, Lily or BBI that practically aren’t consumable by hand without disintegrating entirely. My favourite from the Pacifico burger menu is the Blue Ranch Burger, a version where the before mentioned bun and patty combo is shot to the moon by supercharging it with a bit of blue cheese and ranch dressing sauce. The result is a salty, savoury, umami-packed burger that evokes strong feelings of desire. 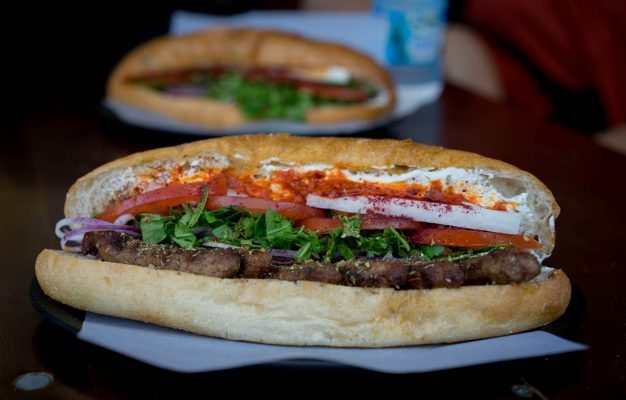 If this sounds a bit too wild you can of course also go for a plain and simple cheese burger (codename “O.C. Burger”) or, in true Asian Burger joint fashion, a kimchi burger (codename “Kimcheezy Burger”). Either way, if you’re looking for a simple burger experience, I think you’ll be pretty damn happy with the 6€ you spend on a meat sandwich here. 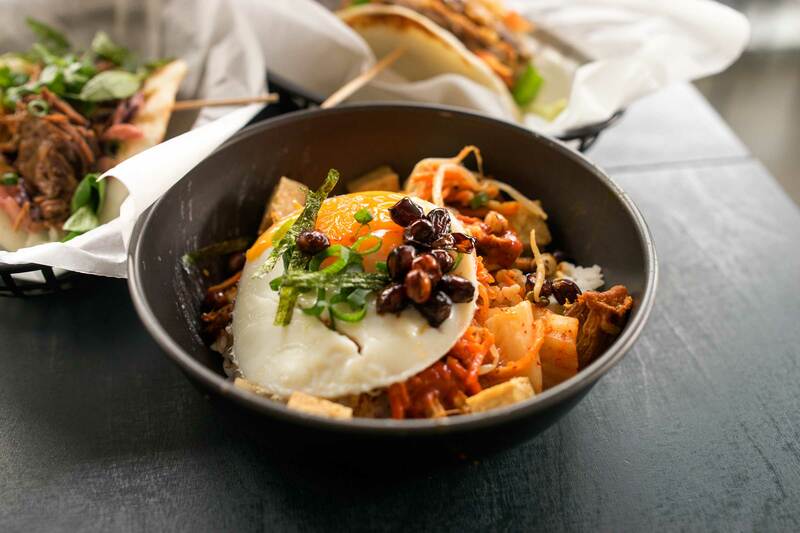 Especially if you order a portion of Bulgogi Kimchi Fries on the side, a heavenly basket of mixed fries topped with kimchi, mayo and pulled beef that triumphs similar creations from Chilees and Ban Ban Kitchen any day. What makes Pacifico stand out is the fact that there are plenty of interesting alternatives for the no-feel-like-burger fraction. Like the bowls, where you can pimp a wide selection of Bibimbap-looking rice creations with a wide range of protein toppings. A very good and fresh alternative with lots great ingredients and textures. 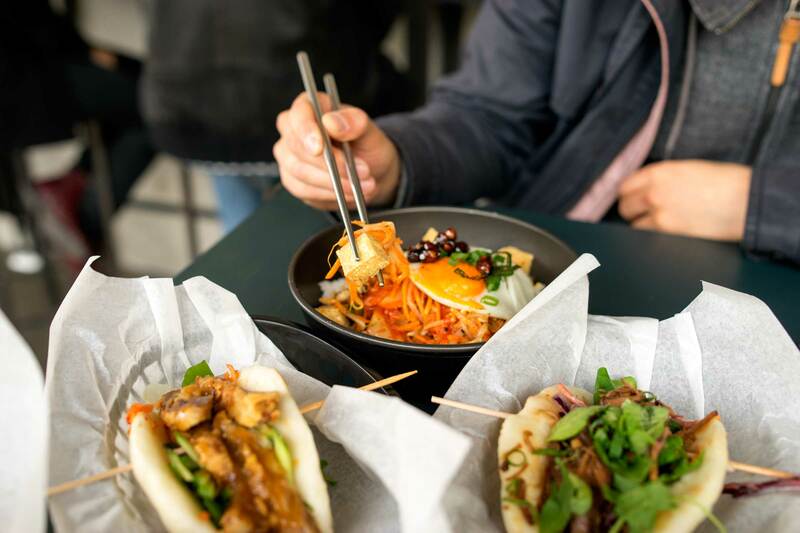 Other alternatives include the Bao “tacos” where a flat and toasted bao is filled and folded like a taco, an unusual and innovative take on the dish. While I think the idea is smart and the fillings tasty (especially the duck one), I’m not entirely convinced of the vehicle. 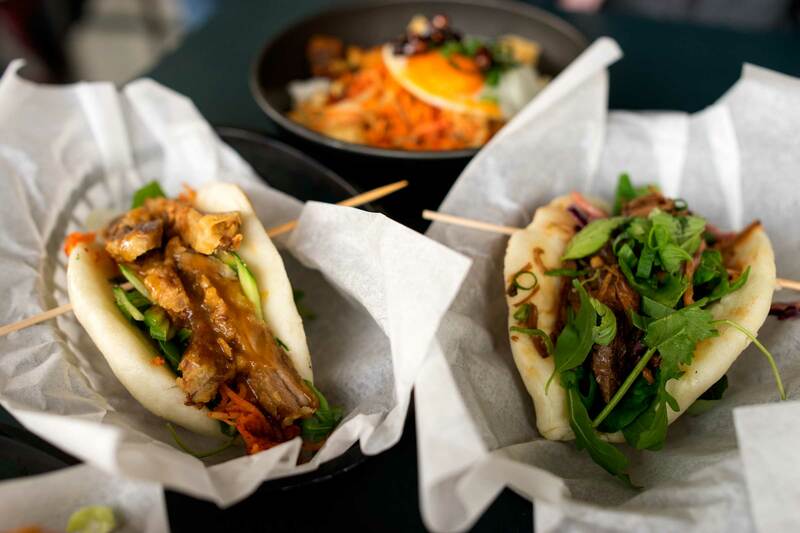 The bao is quite chewy and heavy, defying the usual, light nature of a regular bao, and distracting a bit too much from the quite successful flavour combos. Food has to be fun, simple and just tasty, at least once in a while. Pacifico checks all those points and is in its base a fun eatery that takes a very conscious step into the fast food vertical. I very much support that. I’ve always liked Tommi’s Burger Joint for the fact that they serve a simple and great burger in a casual environment where you don’t have to reserve any bloody tables or spend a lot of time waiting. 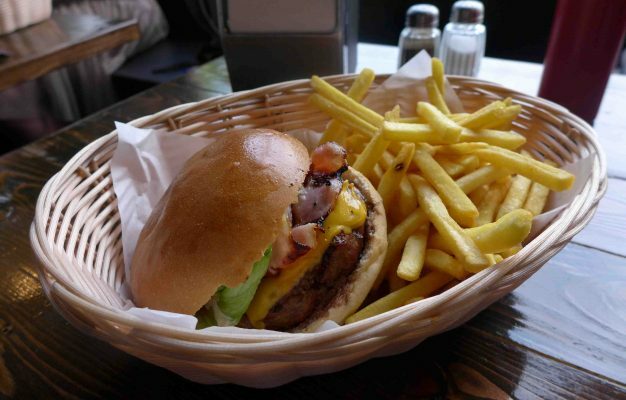 Because what could be more beautiful than impulse-buying a burger and a massive basket of awesome fries with meat on them? Especially after a couple of beers? See you at Pacifico on a Friday night.